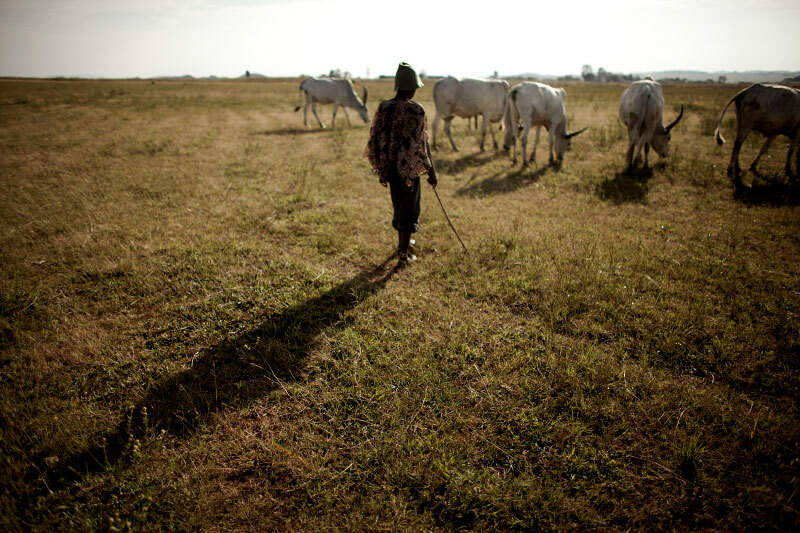 A Fulani boy herds cows in Jos, South. Farming and grazing land in Jos is found in the south, a predominately Christian area. Many disputes erupt when herds destroy christian farm lands.